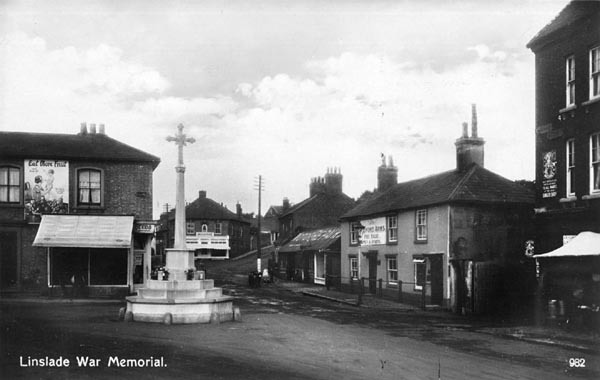 The Linslade War Memorial originally stood at the junction of Wing Road and Leighton Road. During World War Two there had been some discussion about moving the war memorial, but there was some dispute about who would pay for the work. In the end, the memorial was removed in 1947 to the premises of Messrs. Geere and co. in Luton, for cleaning, repair, and to have the names of those who died in World War Two added, and in 1948 the memorial was re-erected in a special Garden of Remembrance in Mentmore Road Memorial Park. 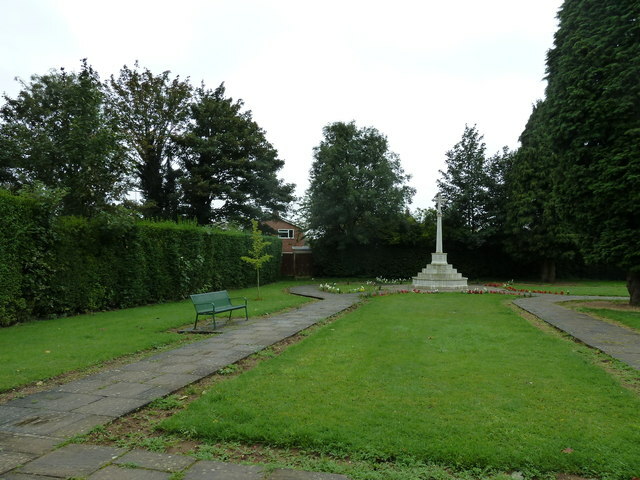 The whole park was created as a war memorial on land owned by the town council of the time; some of the land had been purchased from the Dormer charity in 1936, with the remainder bought from the Wilkes charity in 1943. The Surveyor reported that Messrs Geere & Co had now re-erected the Memorial in its postion”. 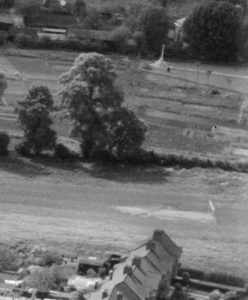 You can just make out the old allotment plots; the whole area was used for allotments during the second world war. The gardens originally consisted of lawns with some small ornamental trees, and narrow flower beds lining the paths. Eventually those labour-intensive flower beds were emptied, though the red tulips they had contained continued to flourish and can still be seen in April and May growing through the grass, particularly around the memorial and along the path to Mentmore Road. 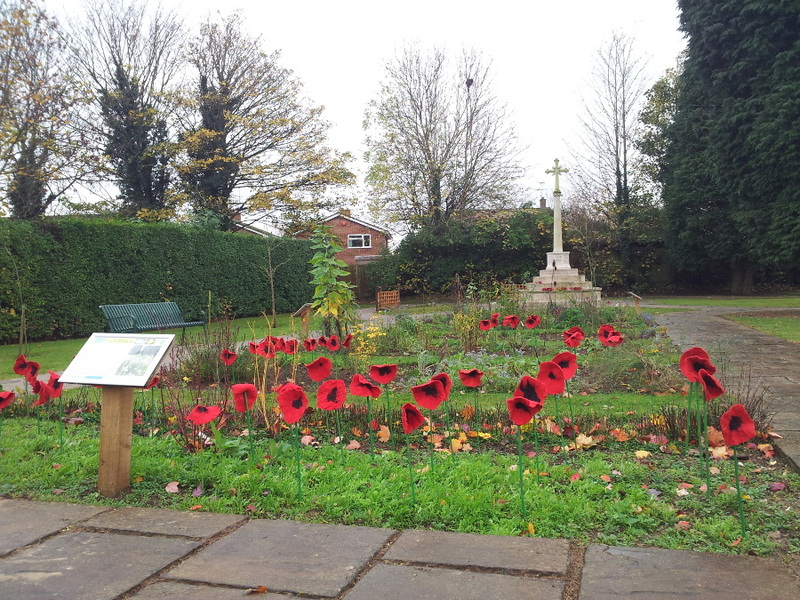 In 2013, Dawn Love, a South Bedfordshire Friends of the Earth member who lived nearby, wanted to re-establish the gardens as a peaceful, attractive place of remembrance which would also be a haven of biodiversity, full of plants that are attractive to bees. In November 2013, Leighton Linslade Town Council gave South Beds Friends of the Earth permission to do this, and the turf was cut during that winter and the following spring. All the labour came from volunteers – local residents, the local preschool, South Beds FoE members, allotment-holders from the Wyngates site, and Spencer Rail, who were installing the lifts at the station at the time. 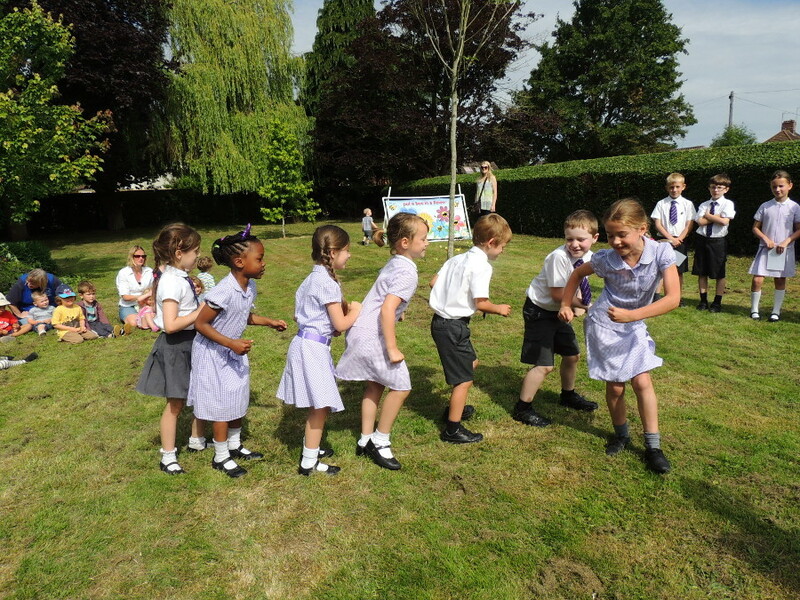 Many others have also been involved over the last couple of years, including many councillors, the Friends of Tiddenfoot Waterside Park, Nature’s Harvest, Dillamore’s furnishers and Heathwood Lower School, who demonstrated the bees’ waggle dance for us and made felt poppies for Remembrance Day 2015, and members of various wildlife trusts. See ‘The story so far’ for more details of progress so far.